As a member of the SQA Automation team, Marian’s job is to investigate an application that is constantly under development. Most of the time, this implies testing dynamically generated elements. Due to his experience in using Selenium WebDriver and WebDriverWait for testing such apps, Marian decided to detail how these two solutions simplify testing, hoping that it would help other SQA automation software engineers in their job. 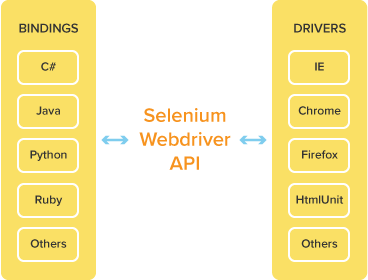 Selenium WebDriver is an open source-project for testing web applications in different browsers, using different programming languages that allow the automation of browser controls. Selenium’s goal is to supply a well-designed object-oriented API that provides improved support for modern advanced web-app testing. Selenium efficiently solves all the problems presented above. The WebDriver provides a locator for identifying dynamically generated elements of the same type within a web page. There are 8 types of locators: Id, Name, Identifier, DOM, Link Text, Xpath, CSS, UI. Using the correct locator ensures faster and reliable tests that can be more easily maintained during app development or frequent app releases. For testing automation you can work only with IDs and Names – they make your work a whole lot easier. UI – select well defined element. Sometimes, choosing a locator can become a nightmare, because there’s no way to tell if it’s the optimal locator or if it will simply disappear during testing. That is why the most frequently used method for identifying dynamic elements implies searching the list of elements for a static locator and then verifying the dynamic attributes, as shown in the example below. Sometimes a new element used in the test cannot be identified. For such situations, Selenium developed WebDriverWait. Since the elements are updated in DOM without reloading the web page, it is recommended to verify a condition every time an element has been modified – either by waiting for a certain amount of time (Implicit Wait), or by checking every second that the condition is met, before following the next step in the script (Explicit Wait). The Implicit Wait method tells the WebDriver to wait for a certain amount of time, whenever it tries to find one or several elements that are not immediately available, lest an exception is returned. The default value is 0. The Explicit Wait method implies waiting for a certain condition to be met before continuing the script. The worst choice would be Thread.sleep (), which waits for the condition to be met only for a limited amount of time. Then there is this more efficient method, which implies waiting for the condition to be met for as long as necessary. The latter requires using both WebDriverWait and ExpectedCondition. The ExpectedCondition class pretty much covers everything, as it helps reducing execution time for tests and finding all the dynamic elements in a page. visibility_of_element_located – expect to check that an element is both present and visible on the DOM of a page (param: locator). Careful though! 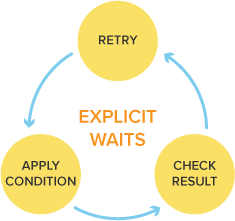 Combining Implicit Wait and Explicit Wait can cause unwanted timeout. For example, mixing an Implicit Wait of 10 seconds with an Explicit Wait of 15 seconds for the same element can trigger a timeout that may occur 20 seconds later. Selenium became a viral solution in testing web applications due to the fact that the HTML elements used in development tend to be more and more complicated and diverse. WebDriver allows running tests in any kind of browser as well as identifying application elements. Are you using Selenium too? If so, feel free to share your experience in the comments below.